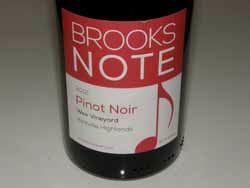 Brooks Note is a Forestville-based winery focusing on Pinot Noir. A native of Maryland, Garret (Garry) Brooks came to the West Coast to serve in the Navy in San Diego. After his service tour, he obtained a business degree at University of San Diego. A job in technology took him to the San Francisco Bay Area where he worked for nine years. 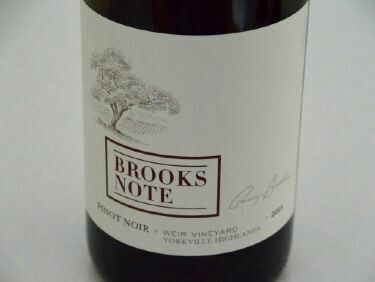 In 2002, he and his spouse Joanne, whose maiden name was Note, planted a small vineyard to Cabernet Sauvignon, later grafting it over to Pinot Noir. In 2004, Garry left the lucrative world of technology to pursue his dream of making wine. He worked part time at Ravenswood while earning a degree in viticulture and enology from University of California at Davis. 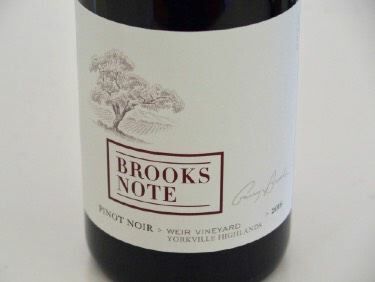 He made his first Pinot Noir at Acacia in 2007 and later moved on to Kosta Browne, working with Michael Browne and Shane Finley for two years. He then joined Dutton-Goldfield as assistant winemaker working under Dan Goldfield. Dan introduced him to the unique vineyards of Marin County. Garry and Joanne launched their commercial label in 2011. Along with a Marin County Pinot Noir, Garry was able to obtain fruit from Weir Vineyard in the Yorkville Highlands. There is limited retail and restaurant distribution in California. 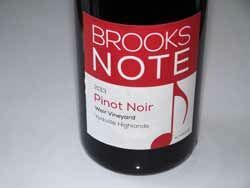 Visit the website to join the mailing list or to purchase wine.